Heat and dryness of the incredible summer 2018 had a bad impact on the local cultivars and older breeding lines. The yields per hectar as well as the contents that are relevant for the brewing industry remain well below under the average of the last few years. Despite the extreme weather, the new Hüller aroma cultivars exceeded all expectations. They are, to a great extend, stable against heat and dryness and were able to build enough ingredients. 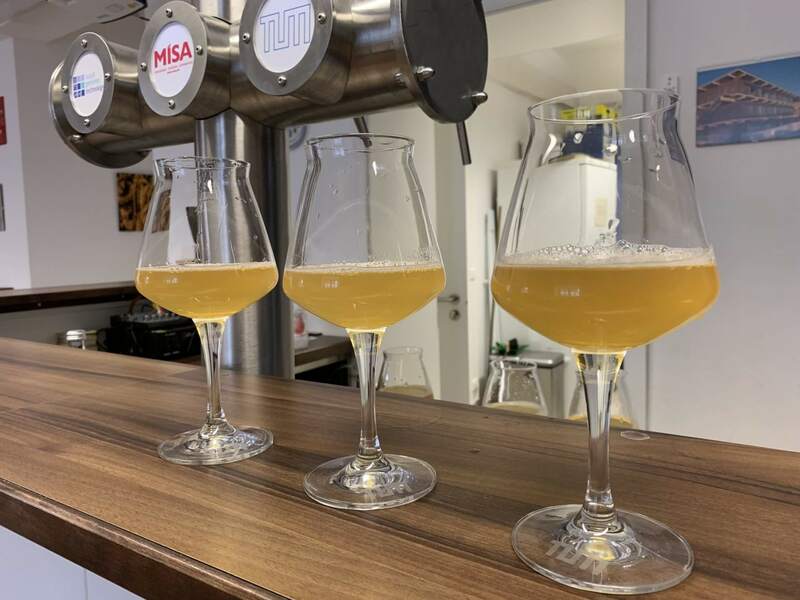 So far, the new Hüller aroma cultivars primarily have been used for craft beers in order to differentiate the aroma impressions of different beer varieties. It is, however, perfectly possible to brew classic lager beers without a fruity and floral taste with the varieties Mandarina Bavaria, Callista and Ariana. Next year, when the brewing industry will have to face a shortage in classic aroma varieties, Callista and co. will show a big advantage. If necessary, the hop varieties that are available on the market, can ease the supply situation by a partially substitution of the classic aroma varieties. In cooperation with the chair for brewing and bervarge industry in Weihenstephan, the Society of Hop Research brewed three identic lager beers with 100% Mandarina Bavaria, 100% Callista and 100% Ariana. You can taste all three beers at the fair BrauBeviale, taking place from 13. -15. November in Nuremberg, at the fair stand of the Hopfenpflanzerverband Hallertau.